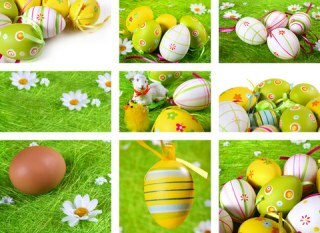 Protein foods are a large part of a healthy diet. This Chinese broccoli beef recipe is a stir fry beef and broccoli recipe that is quick and easy to prepare and adds protein from the beef strips. Make sure you have gluten free soy sauce if you really need this recipe to be gluten free. Return the vegetables to the wok or pan. Stir all together until everything is well coated and heated through. Serve over hot cooked rice, or alone if you want a meal lower in carbohydrates. 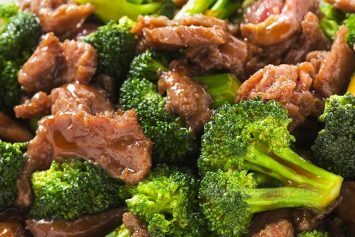 This Chinese broccoli beef recipe is not a high fat dish but if you really want to lower the fat content, omit the oil for frying and fry in a non-stick pan or wok. To slice beef very thin partially freeze it, or if frozen, slice before it is completely thawed. Experiment with other vegetables – red pepper, peas, asparagus, carrots, celery, sugar snap peas, corn are all great additions to a stir fry. For more variety, look for Chinese vegetables and try an even more authentic stir fry. Look for bok choy, napa cabbage, bean sprouts and snow peas. Turn it into an authentic Chinese Broccoli Beef recipe. Stir fry recipes are a great way to include more vegetables in our diet. You can pack the pan with a variety of great veggies and the mix will taste delicious. Stir fry recipes really are just a guideline. If you have a vegetable that your family prefers, put it in. Don’t like something? Simply leave it out. Healthy and delicious AND from start to finish, dinner is ready in 30 minutes. Can’t beat that! Broccoli is also one of the healthiest foods to eat and one that we should include on our menus often. It actually made our list of 10 healthiest foods. Look here to see why. If you like this Chinese Broccoli Beef Recipe, you’ll find more great broccoli recipes here. I fried the thinly sliced beef very quickly and still it was tough – suggestions????? Could be the cut of beef you used. Some cuts are tougher and need longer cooking time or a marinade.